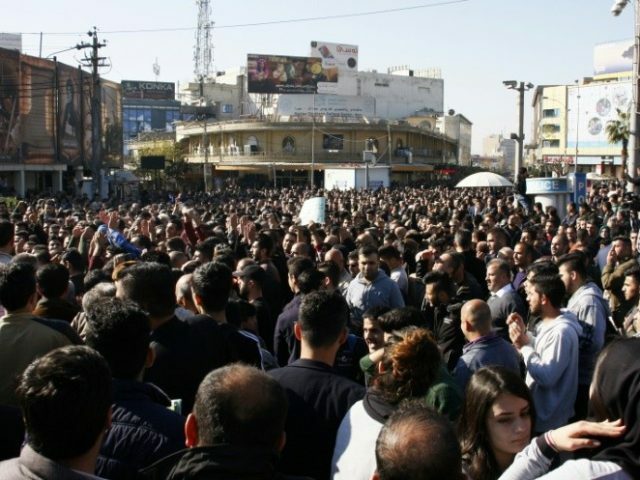 Thousands of Kurds attacked several offices of the main political parties of the Kurdistan Regional Government (KRG) on Monday and Tuesday. Most of the rioters were teachers, students, and civil servants, protesting austerity and unpaid public sector salaries. Iraqi Kurds have never gotten along well with any of their neighbors. During Iraq’s last generational crisis war, the Iran/Iraq war of the 1980s, the climax occurred in 1988 when Saddam Hussein used WMDs (poison gas) on both the Kurds and the Iranians. Because the Kurds want to form an independent Kurdistan, containing pieces from Turkey and Iran as well as Iraq, all three countries have cooperated in putting sanctions on the Kurds. Iraq’s government in Baghdad allowed the Kurds to self-govern in some limited areas with the formation of the Kurdistan Regional Government (KRG) in Iraqi Kurdistan, the region of Iraq predominantly populated by Kurds. When the so-called Islamic State (IS or ISIS or ISIL or Daesh) captured Mosul in 2014 and took control of much of Iraq, the peshmerga, the Kurdish militias, were a crucial part of the military effort to recapture Iraq from ISIS. However, the Kurds were never rewarded for their bravery. After Mosul was recaptured this year, the KRG decided to hold a referendum on seceding from Iraq and forming an independent Kurdish state. This referendum was opposed almost universally in the international community, and it particularly alarmed all of Kurdistan’s neighbors. So the Kurds might have gotten some economic benefits and some additional self-governance, but after the referendum passed on September 25, everybody seemed to ask, “You helped us beat ISIS, but what have you done for me lately?” Iraq, Turkey, and Iran cooperated in putting harsh economic sanctions on Kurdistan, and Iraq launched a military operation that recaptured areas that the Kurds were occupying following the war against ISIS. Iraq’s Shia militias, the Hashd al-Shaabi militia or Popular Mobilization Forces (PMF), with links to Iran, were also crucial to the defeat of ISIS in the last two years. However, the PMF were accused of massive human rights abuses, targeting ordinary Sunni citizens in several cities where they fought to expel ISIS. 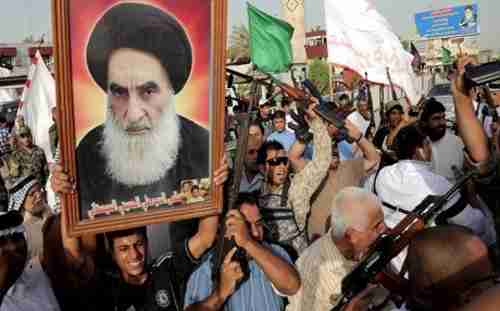 Grand Ayatollah Ali al-Sistani, Iraq’s top Shiite cleric, in 2014 called on the Iraqi people to take up arms against ISIS. Tens of thousands of Shia people answered his call that then resulted in the birth of the Hashd al-Shaabi. Now that ISIS has been defeated, al-Sistani is praising the “historic achievement” of the Hashd forces but is now saying that the time has come to merge the Hashd militias into the regular Iraqi army. The Hashd have 140,000 registered fighters which is about half the size of the Iraqi army. Al-Sistani said that it is the duty of the state to now take care of the Hashd fighters financially and otherwise, and the families of those who lost their loved ones. This call has renewed the political conflict between the powerful Shia cleric Moqtada al-Sadr, and the former prime minister Nouri Al-Maliki. Supporters of the two held huge protests that turned violent earlier this year. Al-Sadr, who has close links to the ayatollahs in Iran, supports the call. However, al-Maliki, who is building a coalition in preparation for next year’s elections, wants to keep them out of the army, so that they will support him next year. If they were in the army, they would be prohibited from having political ties.